CyberPower Carbon™ Rack Accessories include equipment and environmental management hardware such as fans, air flow management, cable management, security, and shelves. 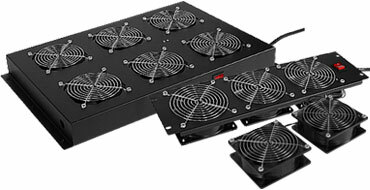 CyberPower Carbon Rack Fans help distribute and channel air through racks to keep IT equipment within optimal operating temperatures. Fans are available in 120V and 208V versions, and in a variety of form factors to meet different installation and application requirements. CyberPower Carbon Rack Air Flow Management improves cooling efficiency and prevents air recirculation in and around racks to keep IT equipment at optimal operating temperatures. 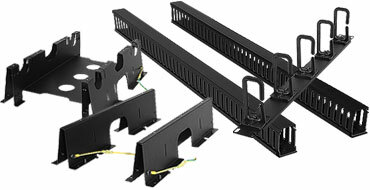 CyberPower Carbon Rack Cable Management products organize cable runs in and outside the rack. 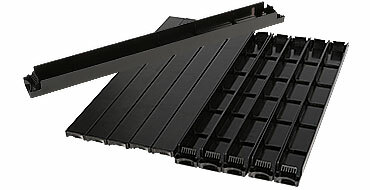 Products include rings and ducts, vertical and horizontal cable managers, troughs and ladders. 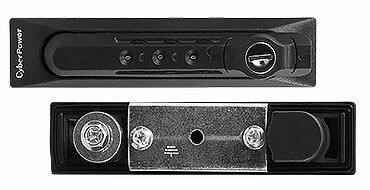 CyberPower Carbon Rack Security products help safeguard IT equipment at the rack level. 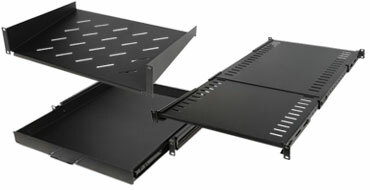 CyberPower Carbon Rack Shelves allow users to install and house IT equipment that is not designed for rack mounting in any EIA-310 compliant rack. Options include fixed and slide out shelves, cantilevered shelves, and keyboard trays. 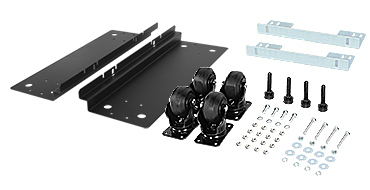 CyberPower Carbon Rack Hardware offers additional options such as casters, stabilizing kits, and mounting hardware for racks with square holes.